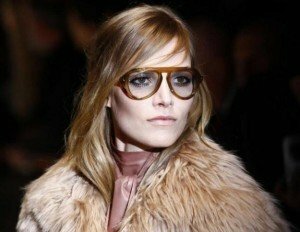 Just as you’re deciding on the perfect winter coat and ankle booties, next years 2015 eyewear trends are making their bold appearance on the catwalks. Accessories are important statement pieces and can really make or break an otherwise full outfit. 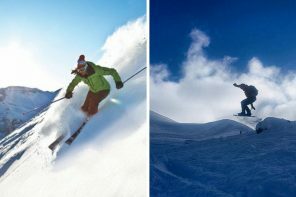 Next year’s wide range of sunglasses trends are especially unique and diverse, characterised by bold imaginative designs and classic, flattering shapes to suit a variety of different face shapes and tastes. Large, opaque glasses that hide even the greatest of hangovers and look chic no matter if they are paired with work wear or casual wear. 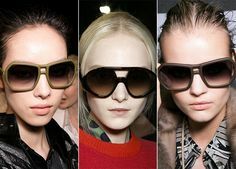 Oversized sunnies have been off and on catwalks for several seasons. 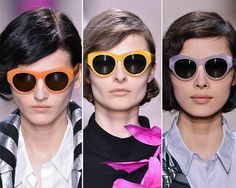 Dior, Karen Walker and Philip Lim were all inspired by the trend, will models slinking down the catwalk in everything from over-sized round frames to square, geometric styles. Pair yours with an ultra-classic outfit to add edge or style with an already bold neo-modern trend for example. An enduring style, the cat-eye remains one of the most popular styles, proving itself a worthy classic with its glamorous shape and cheekbone flattering effect. Adorned with everything from flowers to animal print, the cat eye has had a serious makeover which a new range of diverse shades, the style won’t fail to make you look devastatingly chic. 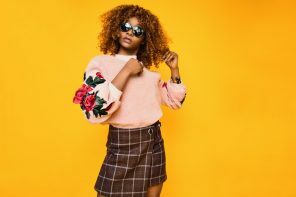 For some inspiration, you can look through the sassy variants suggested by Fendi, the mysterious alternatives from Versace, and the classy forms by Rochas. Another classic, the aviators popularly shows no signs of abating. Originally classed as quite the statement piece, the aviator has earned its place with the rest of the classics for its ability to retain sophisticated and yet modern and dateless. Regardless of how you choose to wear it, this style is enjoying the comeback to the catwalk this season, with great interpretations by fashion titans Gucci and Tommy Hilfiger who’s incredible range showcased many different aviator styles, from bold rims to transparent frames, this is classic with a updated twist. The message from the catwalks for the upcoming 2015: be as creative as possible! 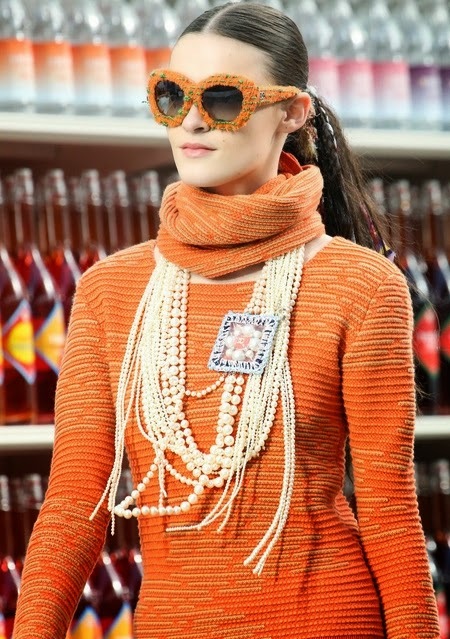 Chanel heralded this message with their playful take on texture using tweed around the rims of their unmistakable shaped frames. A sweet irresistible appeal with a colourful, oversized design stole the show. Merging classic designs with statement details like imaginative patterns and prints, statement bronzed leaves places delicately around the frames and exaggerated versions of classic styles make the trend versatile. 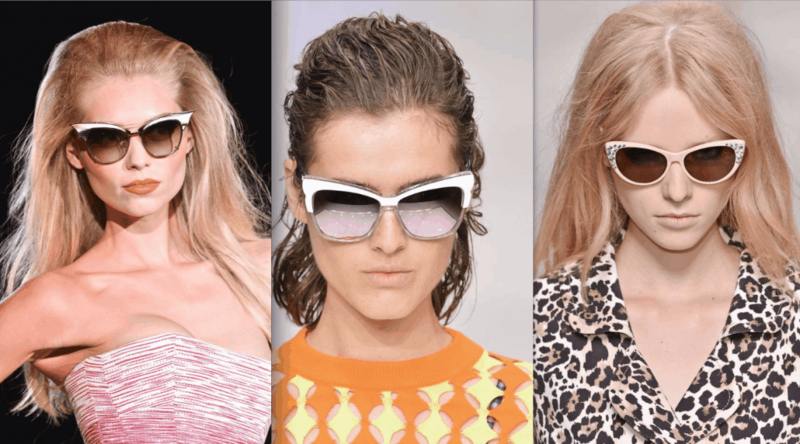 Other extravagant sunglasses for next year include those of Moschino, Dsquared2 and Karen Walker. 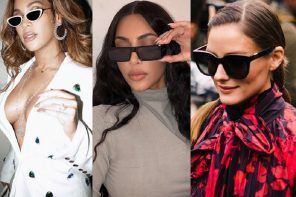 Dark lenses are an essential classic and now they return with serious credibility as iconic fashion houses Vera Wang and Dior, to name just a few, blend the opaque style with modern shapes to update the trend. A universal and unfailing combination you won’t go wrong with. Bored of tortoise effect and black? You’re in luck because next season sees a revival of bright, candy coloured frames. A new generation of modern sunglasses with energising and confident colours with innovative, unique shapes that really set them apart from their classic counterparts. Pair with a classic or even monotone outfit for a pop of colour or add to an existing bold outfit. 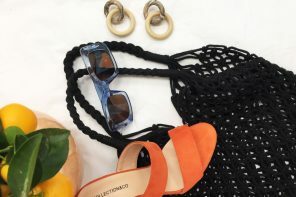 Notable favourites include Marni, followed with the classy forms by Vera Wang, and not forgetting the coolest diversity of colours by Dries Van Noten. 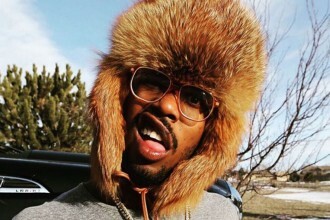 Next articleRita Ora Icy Coloured Frames…Embrace the Cold!